No matter how attractive your outdoor furniture is, it has to be durable to look good year after year. That's why Keter designs every item to withstand the elements without sacrificing looks. Its rugged materials and quality construction ensure that Luzon will provide beauty and value for years to come. 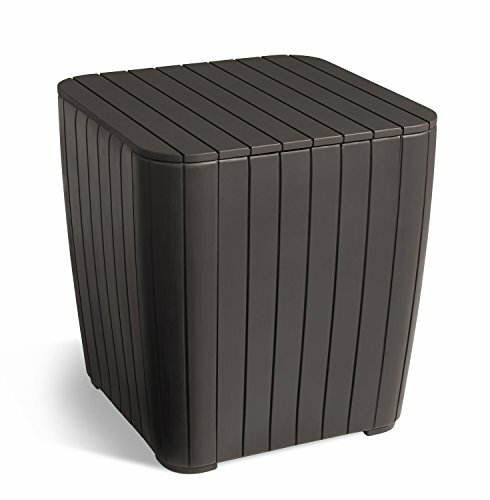 Furnish your balcony, patio or deck in style with this small stool or side table from Keter. Whether as a sturdy footrest, an extra seat or additional table space, this portable little piece is just what your outdoor living area needs. From entertaining last-minute visitors to evenings on the deck with the family, Luzon offers beautifully constructed, easy cleaning and hardworking furniture that's just right for any occasion.